Fáilte engraved on slate. Ogham gift. Ancient Irish Ogham script engraved on natural Irish slate. If you’re Irish or you know someone who is then this makes a truly great gift. It’s a genuine taste of our Irish history that anyone with Irish Heritage will truly appreciate. 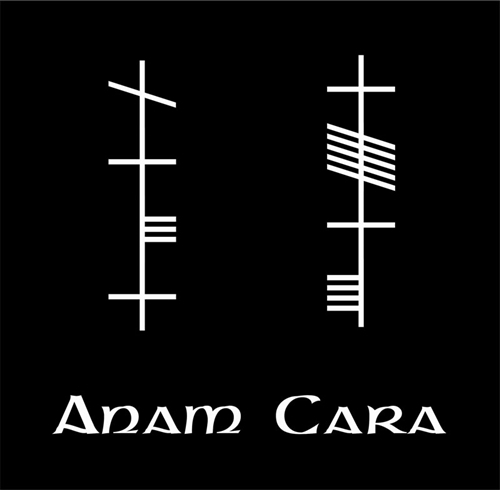 Irish Gift Solutions have created a unique design on the ancient Irish script called Ogham (pronounced “og-hum “). Ogham is part of the ancient Irish language and has roots going back to the Celtic Tree Alphabet. This "Failte" gift engraved on natural slate makes a wonderful housewarming gift and ideal placed near the front door of your home (indoors or out). The word “Fàilte” means WELCOME and is scribed on the bottom. Choose any greeting, blessing or name, see below for more suggestions. Adare Manor has a small collection of Ogham stones on the grounds.